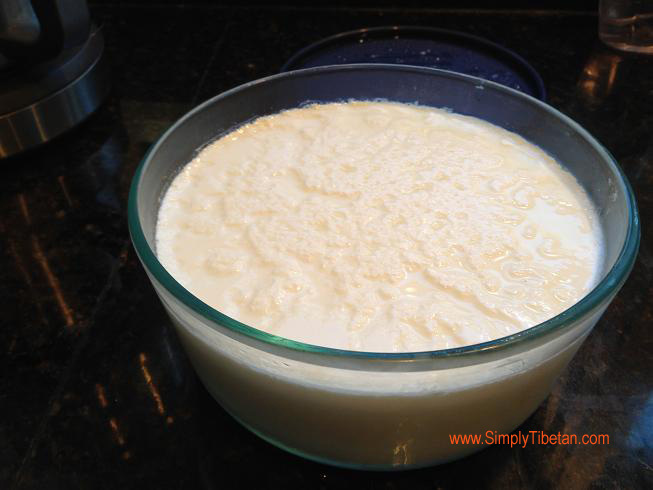 We Tibetans have a special affection for ‘sho” – more commonly known as yogurt for you non-Tibetan speakers. For thousands years, our nomadic ancestors have been making and eating yogurt from milk from their herds of Yak and Dri (female yak). 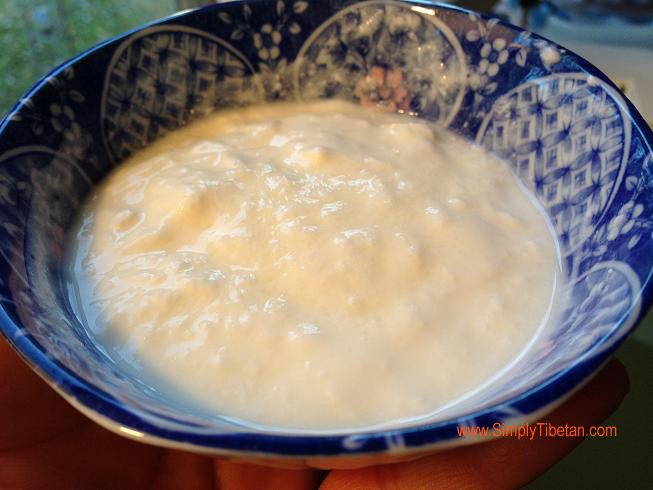 The appropriate way to say “eat yogurt” … in Tibetan is … “sho daa” – meaning “lick yogurt.” Yes – this conjures up the image of a young Tibetan drokpa child licking clean a bowl of delicious, tasty “sho” that his mother might have made. There is nothing better than home-made “sho” – trust me and try it for yourself. 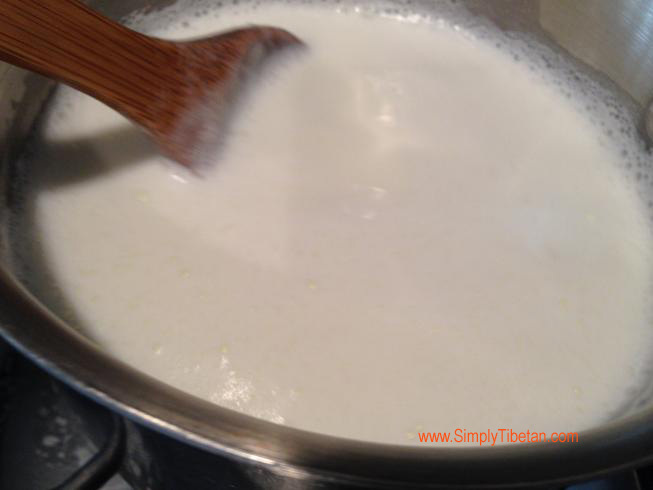 Making yogurt is actually very easy but it does take quite a bit of patience which sometimes I lack. 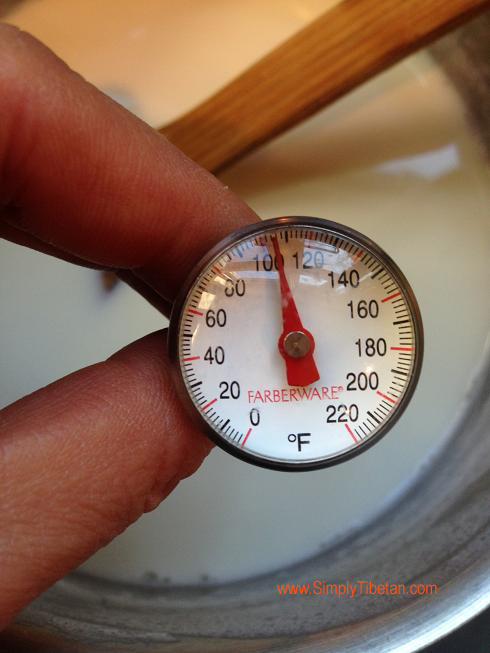 Basically, you heat up milk, cool it down, add the yogurt culture, and then let sit for a few hours. 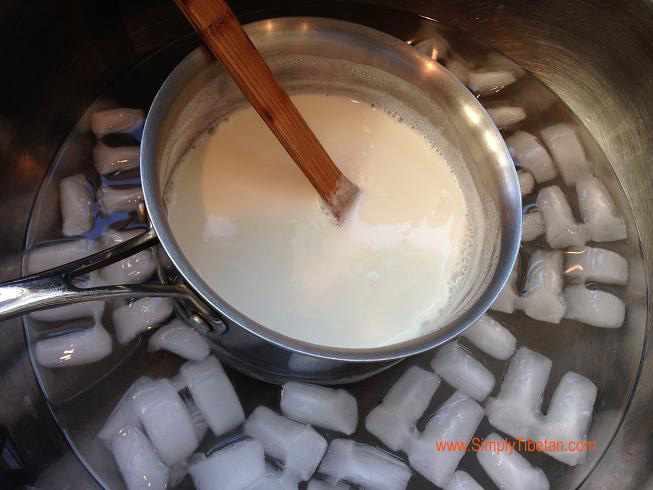 Here are some traditional ways to enjoy yogurt …. Sho-siben … In a blender, add half a cup of yogurt, a bunch of cilantro, 3 cloves of garlic, chilli powder, salt, pepper. blend thoroughly to make a delicious hot sauce. 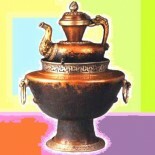 Sho-droma … Boiled droma topped with sho (droma is a wild sweet potato root – particular to Tibetan cuisine. Heat the milk till its almost boiling. Put the yogurt culture in a cup, add some warm milk to it, stir and then mix this into the warm milk. 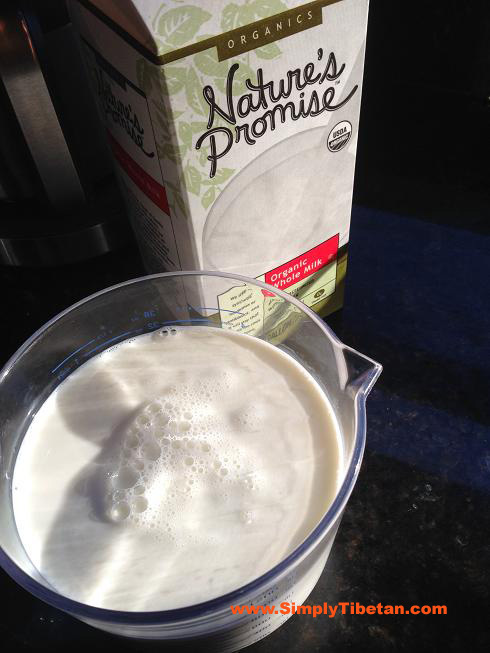 Pour this milk into your yogurt container, cover with a lid – doesn’t have to be airtight but just cover it. 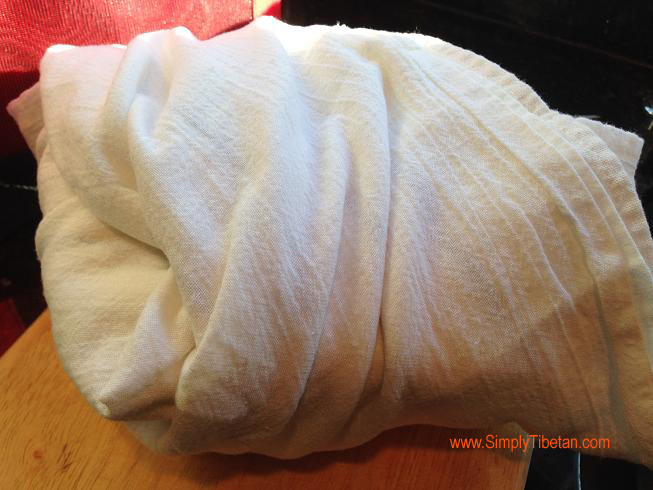 Wrap the container in a cloth, so it’ll keep warm – this helps breed the yogurt culture that forms the yogurt. Leave overnight – or few hours (5-6 hours). 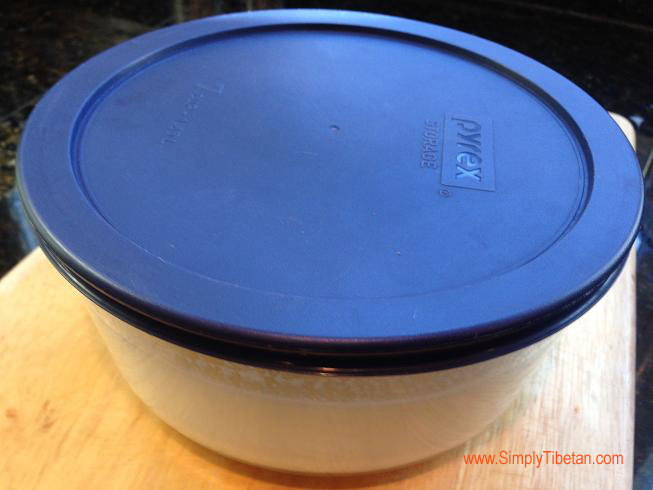 Once the yogurt has solidified, put it in the fridge and it will firm up even more. Gee, sometimes it gets so hot where we live that if I leave regular raw fluid goat milk out and don’t drink it up fast enough, it solidifies and becomes yogurt. So much less work and raw is good for you. 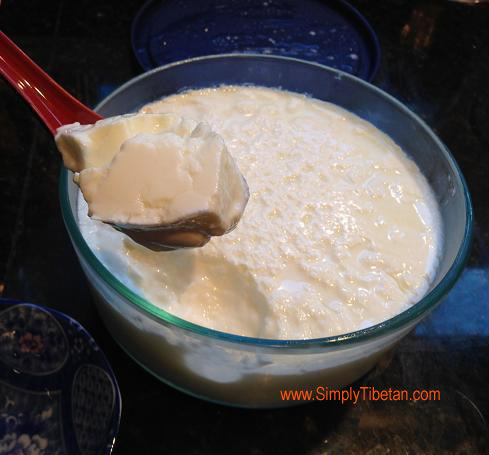 This entry was posted on November 20, 2013 by simplytibetan in Recipes and tagged drokpa, sho, tibet nomad, tibetan yogurt, yak milk.